What happens when the temperatures drop and the leaves start to change…Oktoberfest happens! 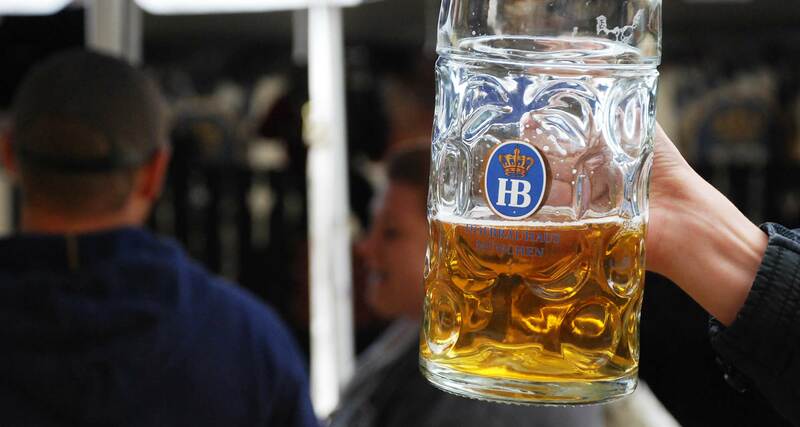 That’s right, Veteran’s Park is hosting the 7th annual Oktoberfest, October 13-16. And if you didn’t know it by now, MKE is famously known as the beer capital of America and home to several big breweries such as, MillerCoors, Lakefront Brewery, Milwaukee Brewing Co and more. Need more background? Oktoberfest started in 1810 as a celebration of the royal couple, Prince Ludwig I and Princess Therese von Sachsen-Hildburghausen. Following the wedding, all the residents of Munich were invited to celebrate with them. Ever since, Oktoberfest has stayed a tradition throughout the world. Aside from all the great beer, this free public event offers a variety of entertainment including a weiner dog race, bags tournament, brat eating contest, live polka music and more. The best part of it all – a portion of the proceeds of the event benefits Hunger Task Force, Inc. For more information on Milwaukee Oktoberfest, visit www.milwaukeeoktoberfest.com. Located only blocks from Veteran’s Park, we hope you’ll make a reservation with The Plaza Hotel. To reserve a room, call us directly at (414) 276-2101 or book online. If you can’t make it this weekend but still want to experience Brew City for yourself, check out our Spirited Getaway offer complete with a distillery tour and beer tastings.